Albert, the three year old son of Mr. and Mrs. E. H. Cbapin, died at the home in Olathe Saturday morning. The funeral was held Sunday. 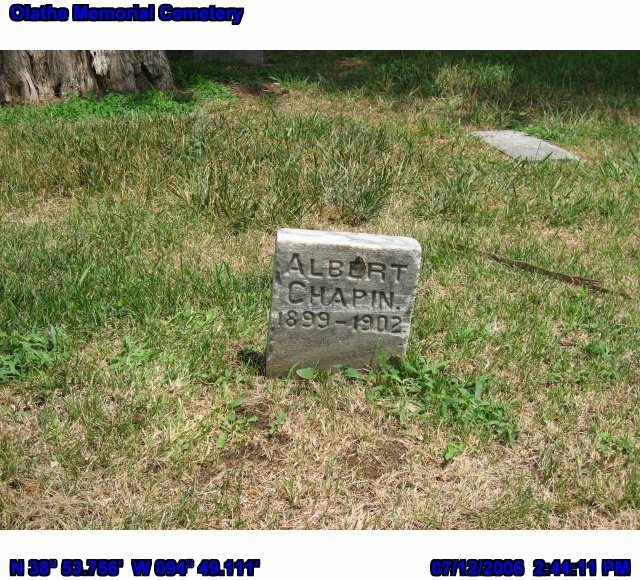 Albert, the three year old son of Mr. and Mrs. E.H. Chapin died at their home in Olathe, Saturday morning. The funeral was Sunday. Johnson County Births, Deaths and Marriages.